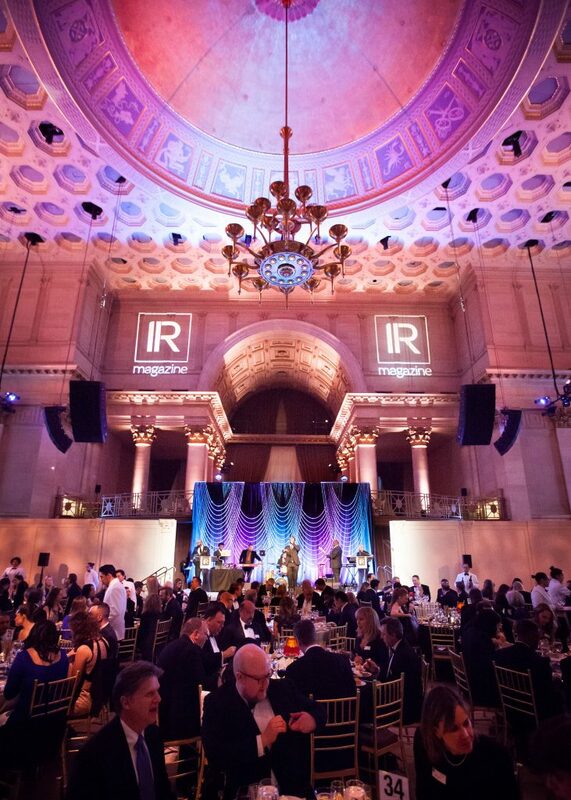 Over 350 people were in attendance at the IR Magazine Awards – US on Wednesday, March 20, 2019 in New York. 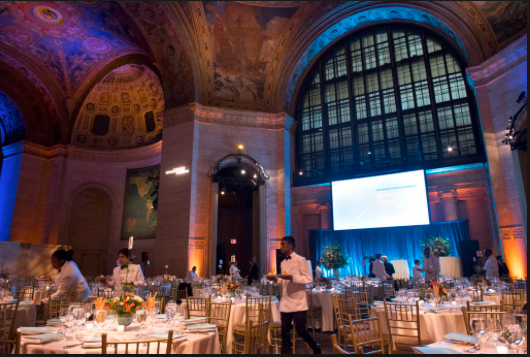 This very special event honored excellence in the investor relations profession, and was held at Cipriani, 25 Broadway, a new home for this event. Since the annual event first launched in 1996, tens of thousands of analysts and investors have voted in the surveys behind the awards. 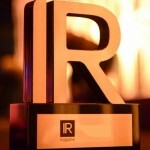 The result: vital benchmarking information on which companies do the best IR. 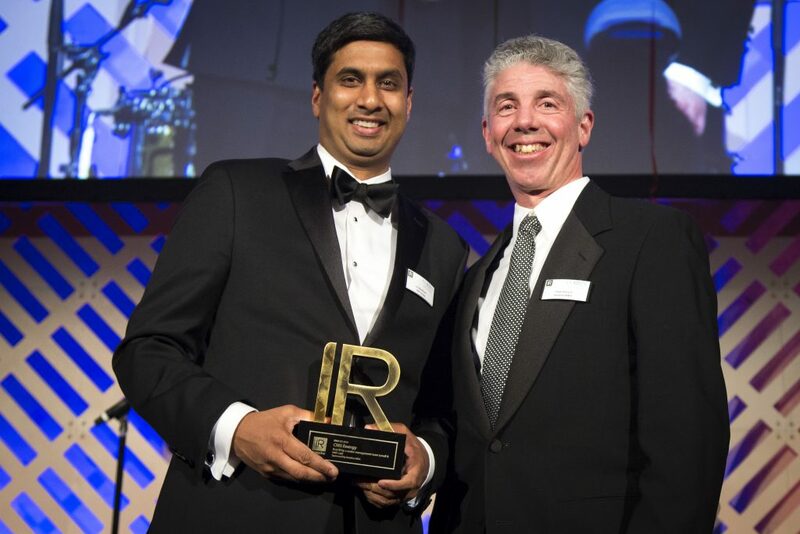 Over the last two decades the awards program has expanded to recognize more aspects of investor relations, particularly the contributions of senior management, as well as to identify the best IR by sector. In addition, the research now covers the perspective of winning companies in addition to the views of analysts and investors. 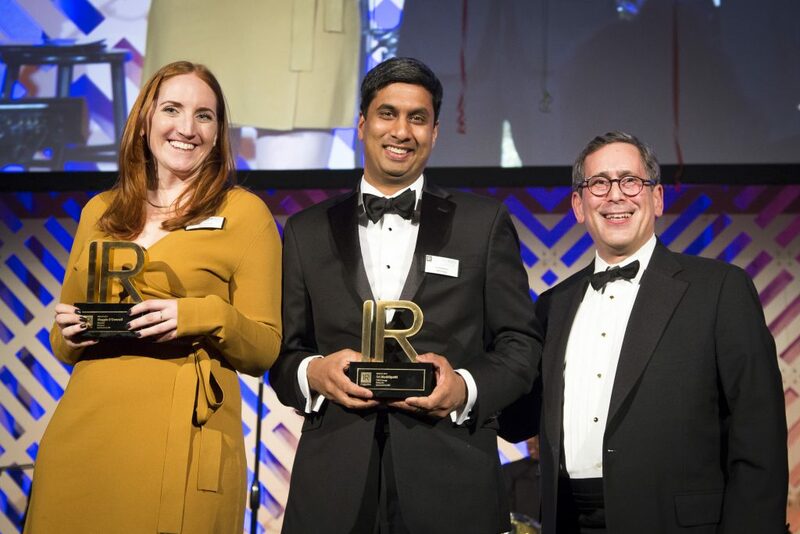 By popular demand we presented two types of award categories – researched and nominated – both celebrating the success of those individuals and companies that are leading the way in IR across the US. 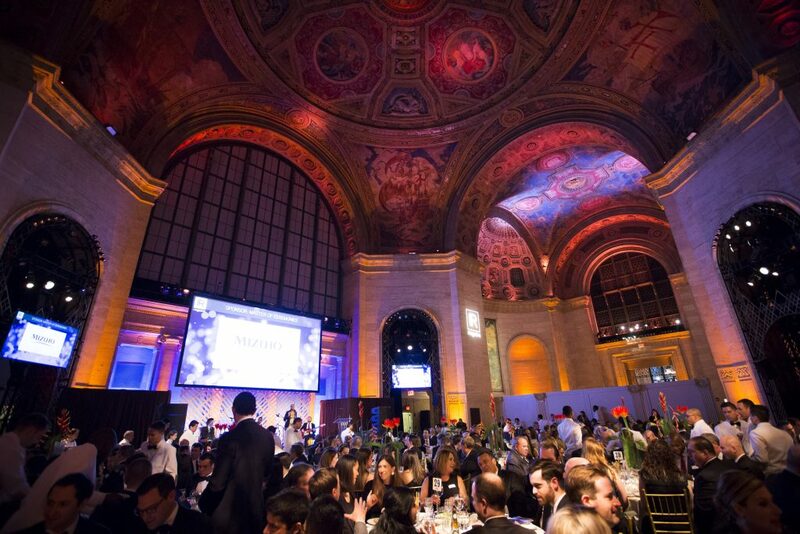 For our researched categories, companies did not submit nominations. 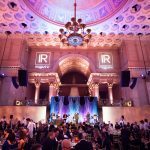 Instead, hundreds of analysts and investors cast their votes and gave their opinions on which companies do the best IR in the US. 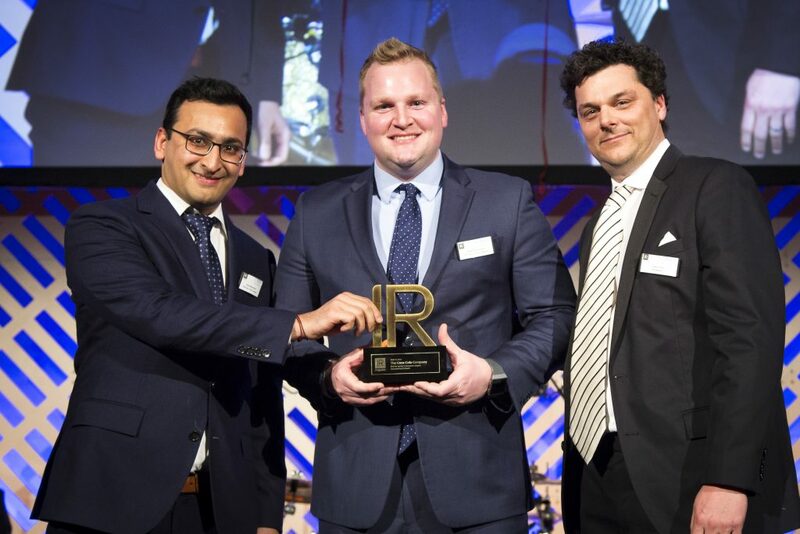 In our nominated categories, companies had the opportunity to nominate themselves or other publicly listed companies, free of charge, for aspects of IR that complement our researched categories. More information on the categories and how winners were chosen can be found below. 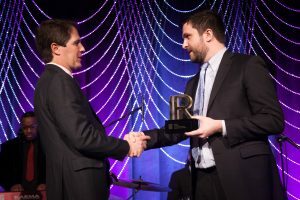 Our researched awards nominees are determined by the input of hundreds of analysts and investors, which cast their votes and give their opinions on which companies do the best IR in the US. Below, please find our list of researched awards. 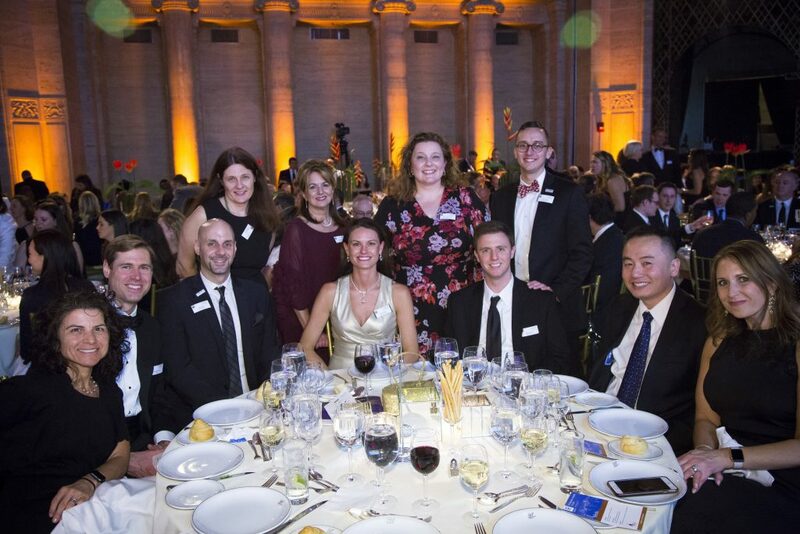 Click on each category to view the 2019 nominees and winners. 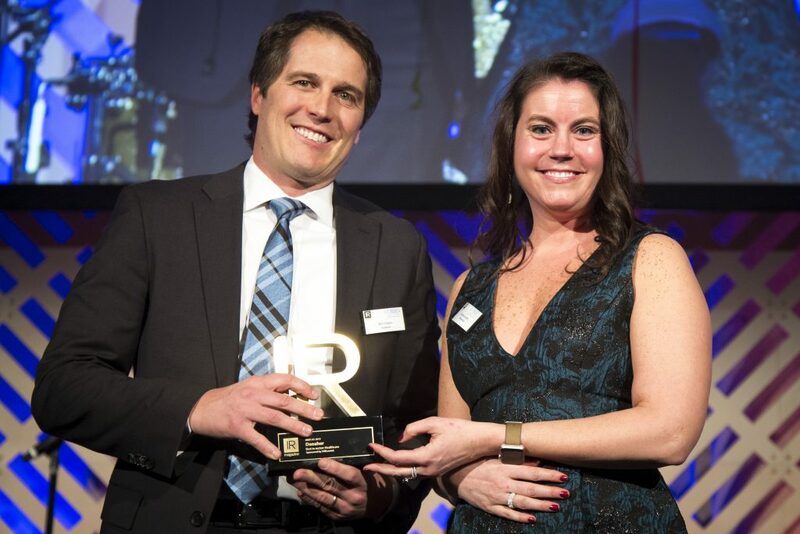 Click here to view 2018 winners and nominees! The first thing to explain is that our awards are different from most others: for our awards by research, companies do not submit nominations. The winners are identified by in-depth research and any publicly traded company is eligible to be considered. This survey is the only one of its kind to go directly to the investment community, via a combination of an electronic survey and one-to-one telephone interviews, canvassing the opinions of the people who matter to you most. 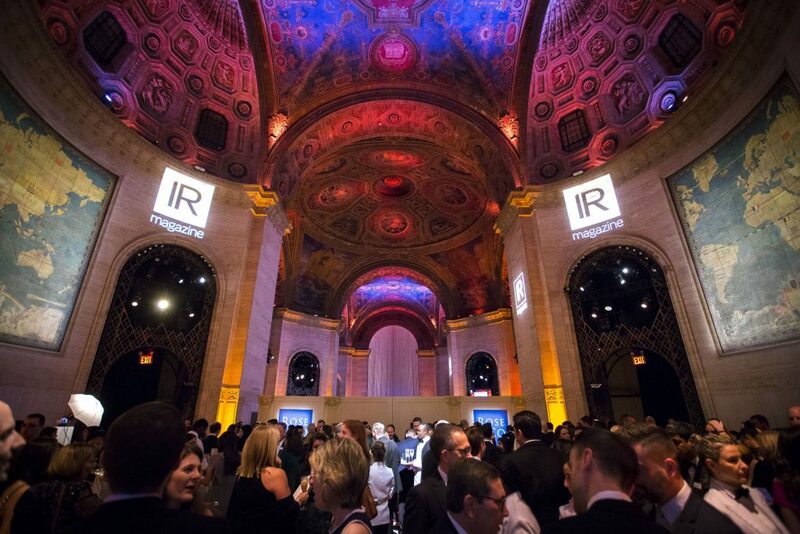 IR Magazine has been building investment community databases over the past 20 years. As part of the updating process, listed companies are contacted every year for details of the professionals who currently cover their stock. These details are combined with Ipreo’s list of US investment community contacts to produce a total of around 50,000 investors and analysts. IR Magazine then conducts an electronic survey of buy-side and sell-side analysts and portfolio managers. The electronic survey typically receives 200 individual responses from the investment community. These responses then go to Mary Maude Research for initial analysis. The research firm determines what will constitute a representative sample, weighted for industry sector. The telephone survey then gets under way. The researchers conduct in-depth interviews with an additional 250 portfolio managers and analysts across the US. Many of them participate in the study year after year, but there is always a healthy proportion of new respondents each year as well. As the research progresses, the sample is adjusted to ensure appropriate weightings are maintained. Once the survey stage of the research is completed, the final analysis is undertaken. The companies with the highest scores make the short lists for the awards categories, and the points are further analyzed to identify the best exponents of IR by sector. 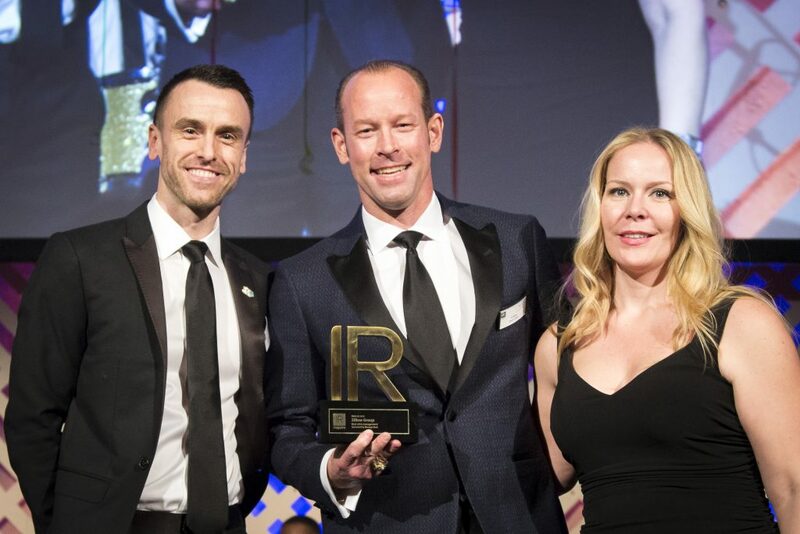 The independence of our research is crucial to the integrity of the whole awards program, so IR Magazine sees the results only once the research is complete. This ensures a transparent, independent set of results that IROs can trust as a valuable benchmarking tool. 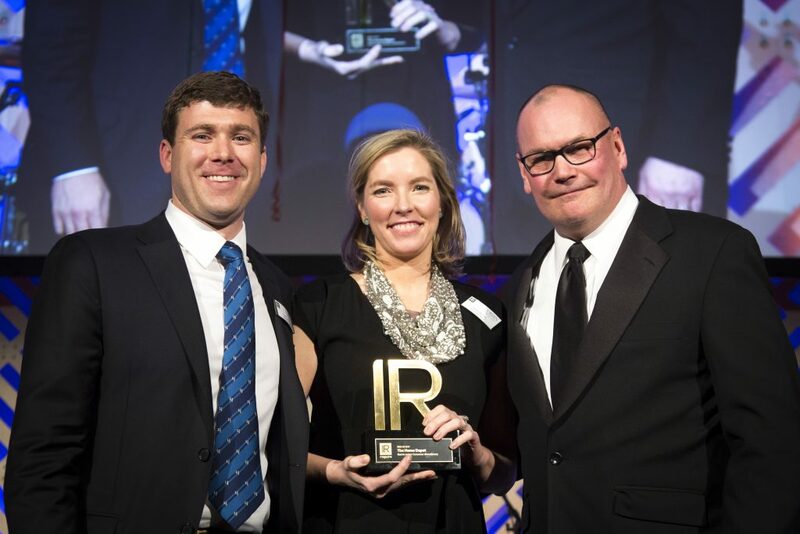 IR Magazine receives the results in December and contacts the short-listed companies to give them the good news. 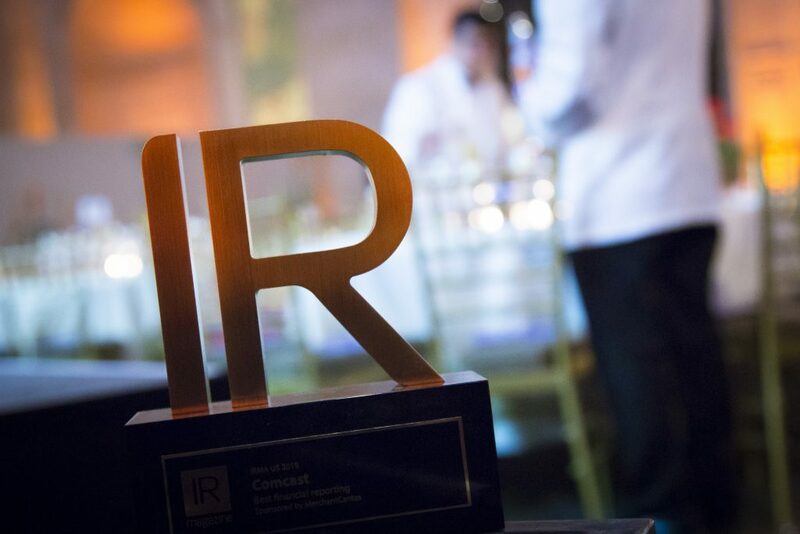 The short list is then published to the entire IR community the month before the event. 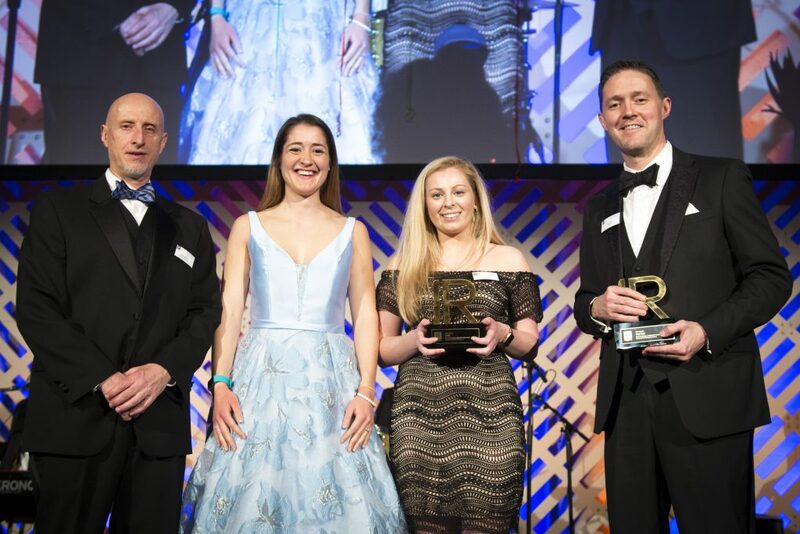 And finally… on the night of the awards, the winners are announced and receive their trophies at a black-tie gala dinner in New York. 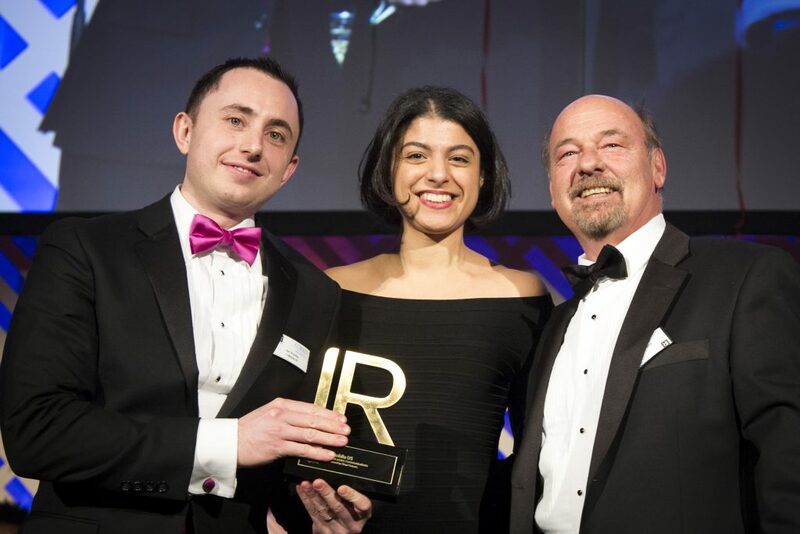 Shortly after the awards, the IR Magazine Award Winning IR – US 2019 report is published and made available to IR Magazine subscribers. We are pleased to announce that this year’s lifetime achievement award winner is Sally J. Curley. Sally is the CEO of Curley Global IR, LLC (CGIR). Sally leverages her more than 30 years of experience to create CGIR, a unique consultancy for investor relations (IR), Governance Outreach and Environmental, Social and Governance (ESG)programs. She is a strategic advisor to public, private and non-profit Boards, and has extensive experience with IPOs (traditional & tracking stock). While the majority of her experience has been in healthcare, Sally has worked for and represented companies in the high tech, software and retail industries. She has particular strengths in navigating disclosure pitfalls while assessing reputational and other risks, as well as in global project management. She serves as an Advisory Board member for MOBILion Systems, is a member of the Society for Corporate Governance ESG Working Group, and a former Board Director of the Columbus Zoo and Aquarium, where she sat on its Nominating and Governance Committee and chaired its Sustainability Committee. She currently is Adjunct Professor at Georgetown University in the Executive Master’s in Global Communications curriculum. Sally is a frequent presenter to Boards, management teams, universities, associations and the U.S. Securities and Exchange Commission on the topics of IR, disclosure, leadership and corporate governance. 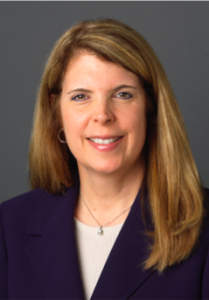 She has served on numerous NIRI boards and committees, and in 2013 was named a NIRI Fellow. 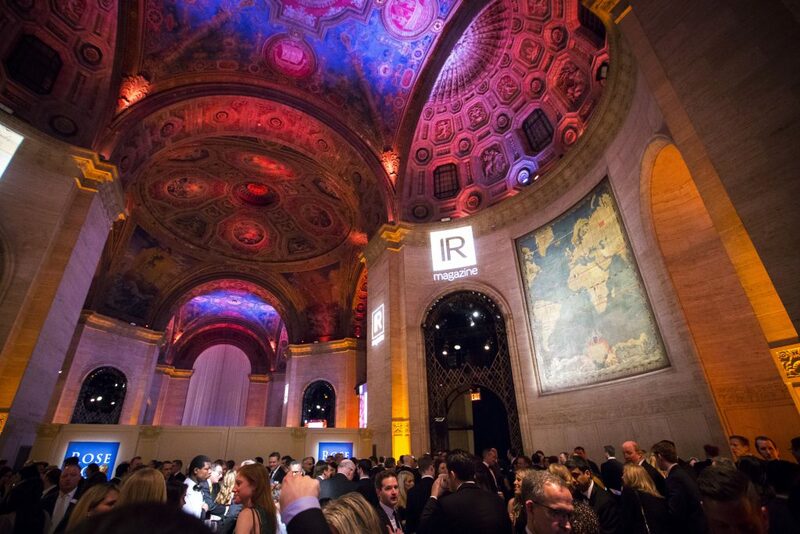 Attendees at this year’s event are leading IR practitioners from across the US. Each participant is someone with an established track record and a strategic IR role within his or her company. "Great networking with the best of the best"
"Amazing award show. 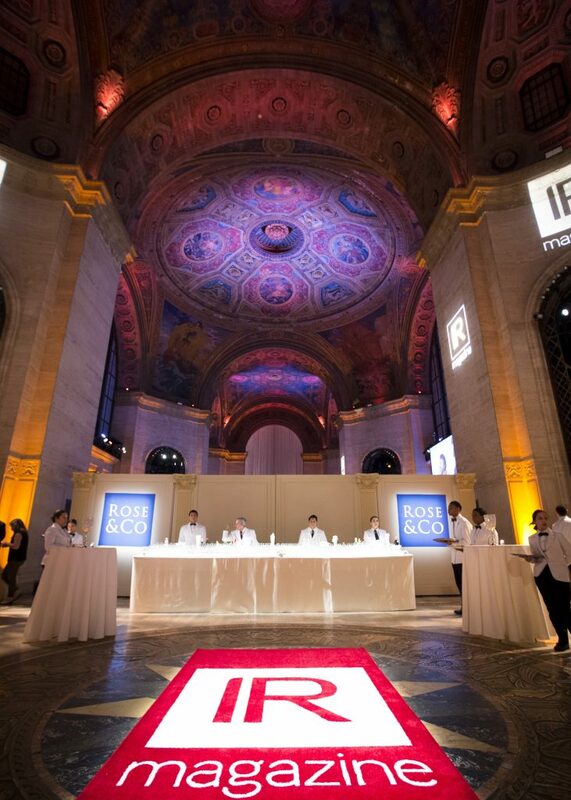 Organized and executed very professionally and a lot of fun to attend." 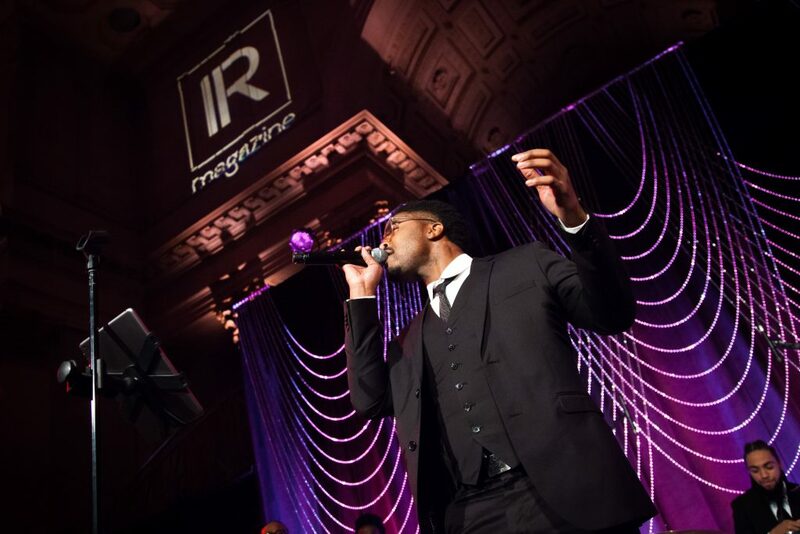 "IR Magazine always puts on an excellent event. I look forward to attending each year. I really appreciated the opportunity to submit a self nomination and liked the addition of a judging panel. I believe there are a lot of companies doing great IR that don't get named in the other categories. You do a great job. Keep it up!" 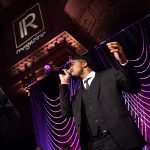 "Excellent recovery due to the weather, always impressive to start at the NYSE - top notch event!" "Loved it. Great job. I'm a fan and I think the event was as close to perfect as you can get (minus the snow!) 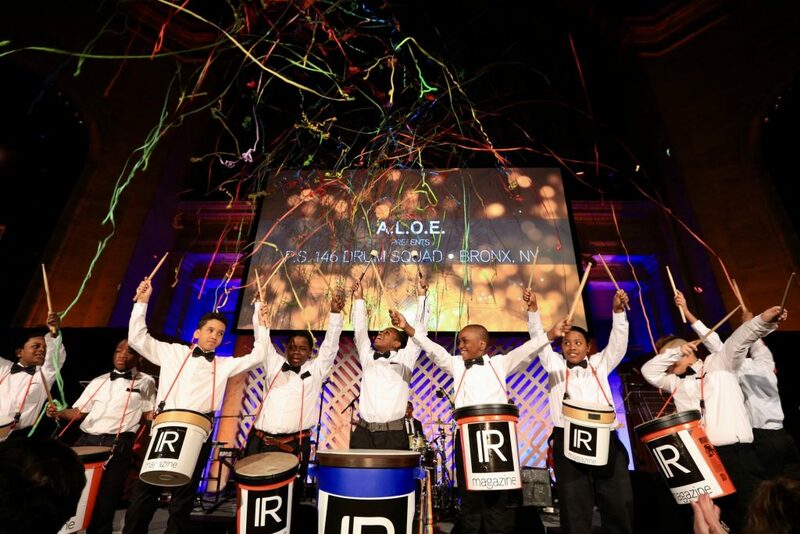 "
"Overall it is a great evening and very well organized." 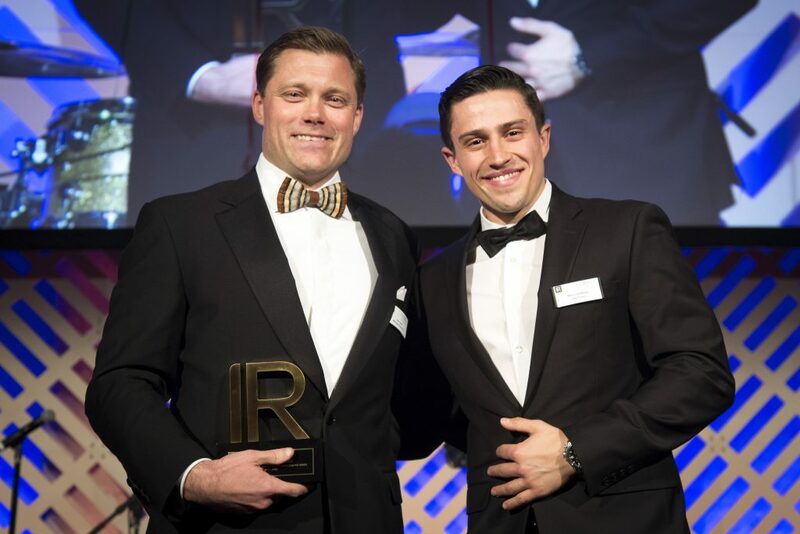 "Charming and quick - especially given the number of awards, IR Magazine are doing great!" 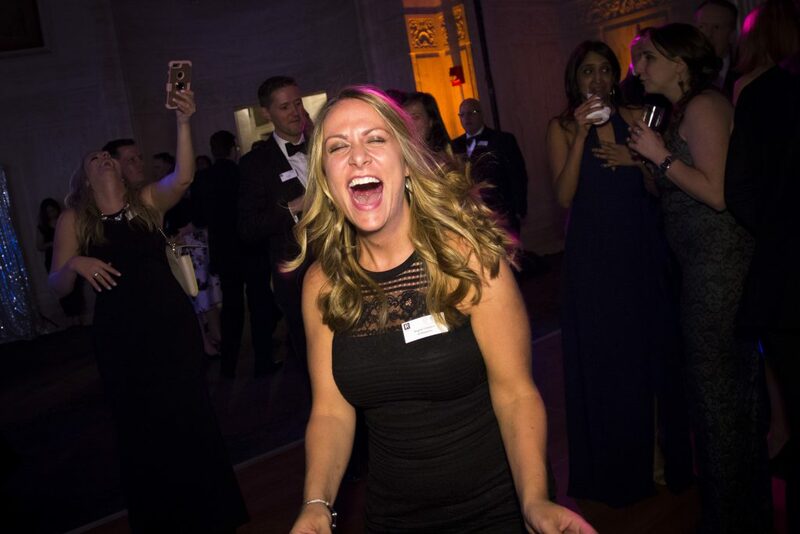 "This is a great networking event that's also a lot of fun. I really enjoyed it." 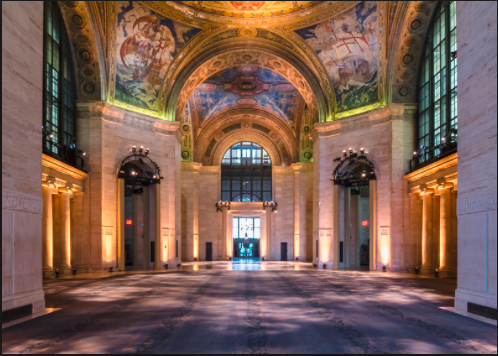 "Great opportunity for networking in an amazing place and with an unexpected very entertaining gala." 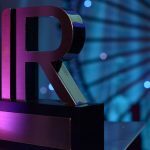 "IR Magazine pulled off a great event, as every year"
Our awards by nomination categories offers individuals and companies the opportunity to nominate themselves, free of charge, for aspects of IR that complement our researched categories. 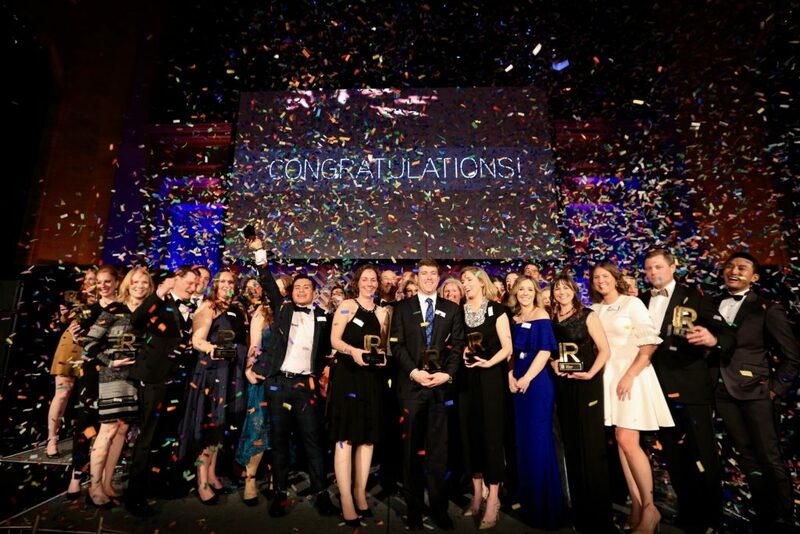 Click on each category to view the 2019 nominees and winners. Have you recently dealt with an unexpected event threatening your company's business or reputation? Tell us about your ‘crisis ready’ plan, the strategy you implemented when the storm hit, and how the IR team’s actions successfully protected or restored shareholder value. Describe how you successfully dealt with an unexpected event threatening your company's business or reputation. Companies face growing demands to inform investors about the risk and opportunities - they face from a range of ESG issues. Describe how your company was able to meet the demands of shareholders looking for substance in ESG reporting? 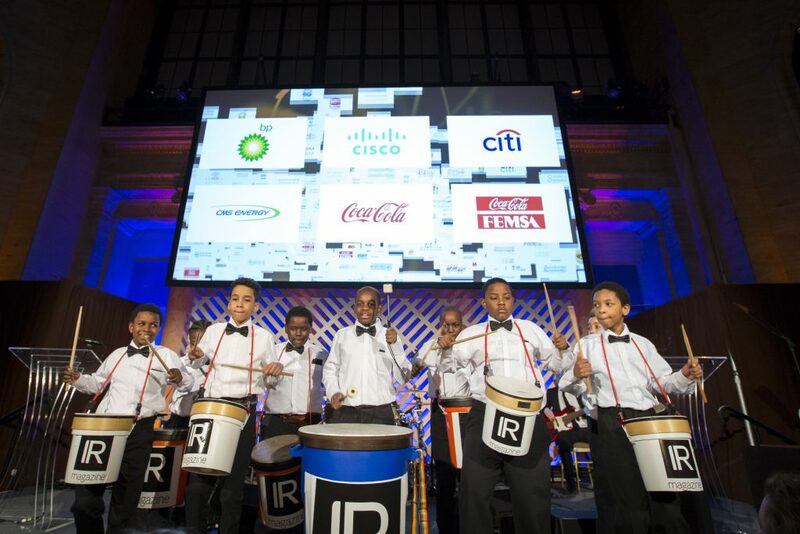 How did your IR team go above and beyond to support a recent corporate transaction? Let us know the details. We’ll be looking at the IR team’s involvement in crafting/releasing the messaging for the financial markets and how it organized outreach and dialogue to gain approval from key shareholders. Are you a tech-savvy IRO always looking out for cutting-edge technological solutions for IR? Describe the innovative ways you have incorporated video, audio, infographics or webcasts into your IR program. Judges will be looking for evidence of heightened investor and analyst engagement via these channels. 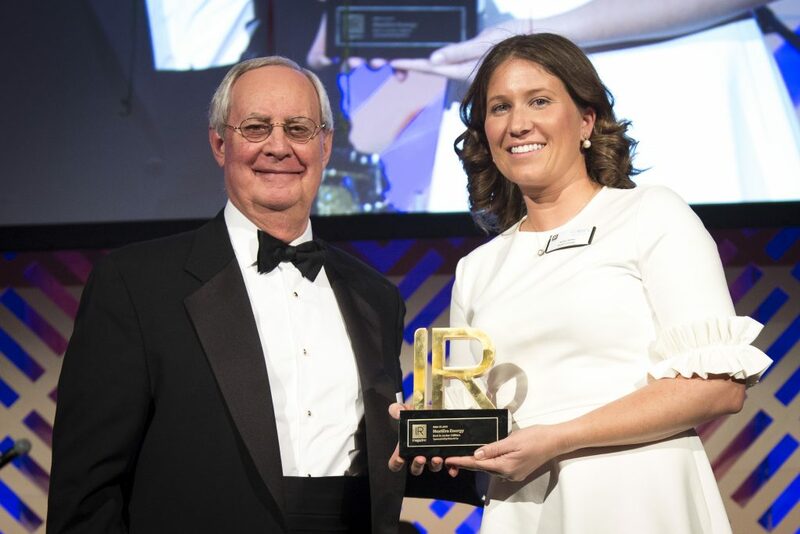 This award seeks to honor individuals who bring fresh thinking and a unique approach to the profession. This category is open to anyone who has been working in IR for less than 5 years. 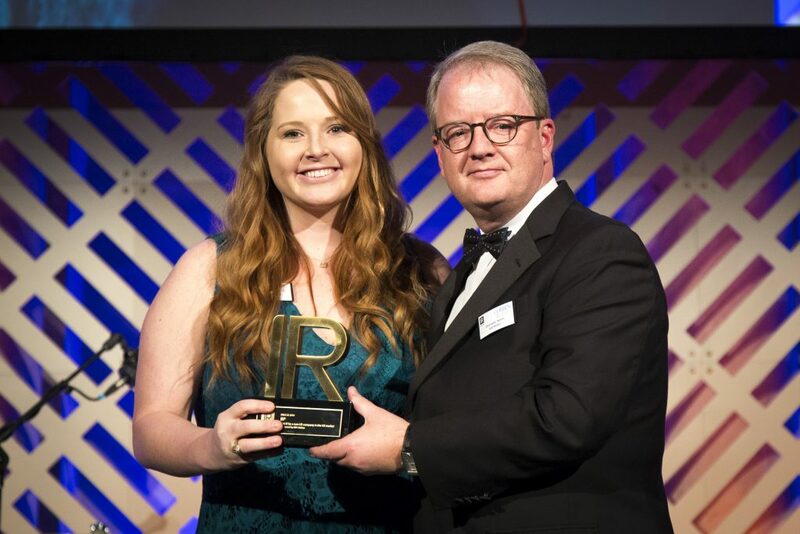 Click here to view 2018 winners! 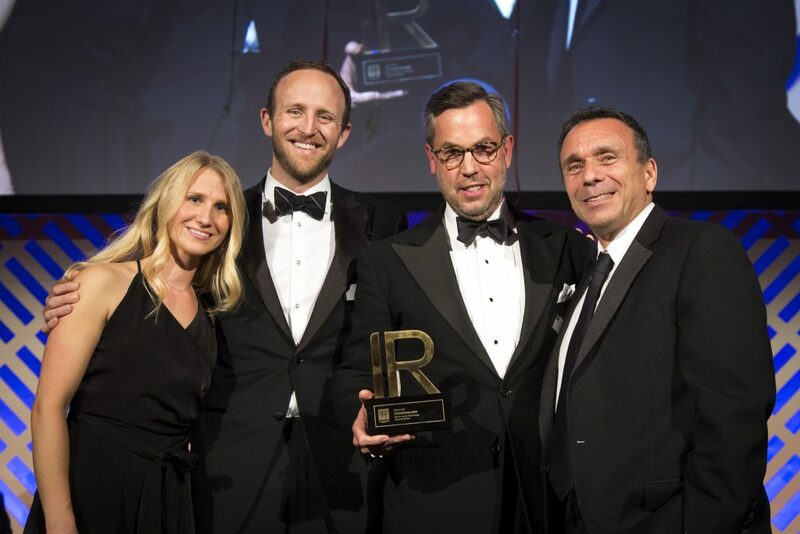 Awards by nomination categories differ from our traditional researched awards, as individuals and companies are given the opportunity to submit written entries, free of charge, to be put forward to a panel of expert judges made up of investment professionals and IR Magazine editorial members. PHASE 1: Judges are sent all submissions after the entry deadline for review. They are asked to score the entries for each category based on the given criteria. This will form the initial shortlists. PHASE 2: For the second phase, judges come together to discuss and review, with renewed scrutiny, those entries that have made it through to the shortlist. This final stage will determine the winners and high commendations, where applicable, in each category. 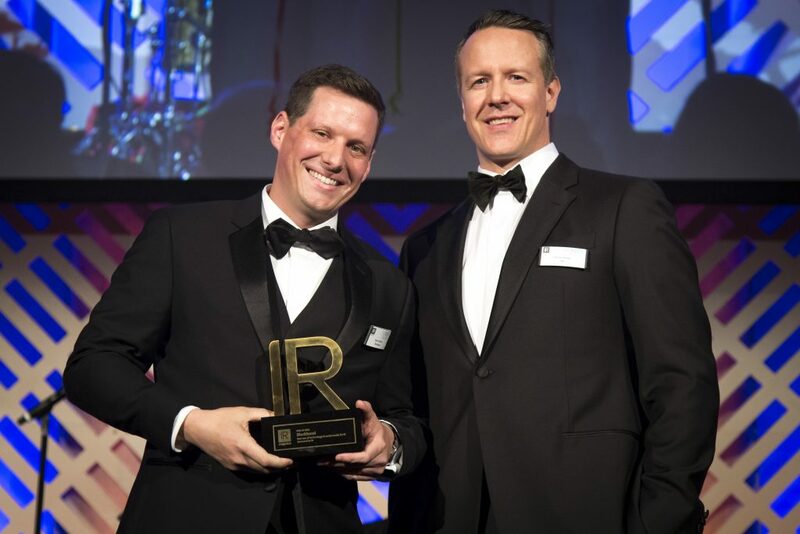 Ben Ashwell is the editor at IR Magazine, covering investor relations, governance, risk and compliance. 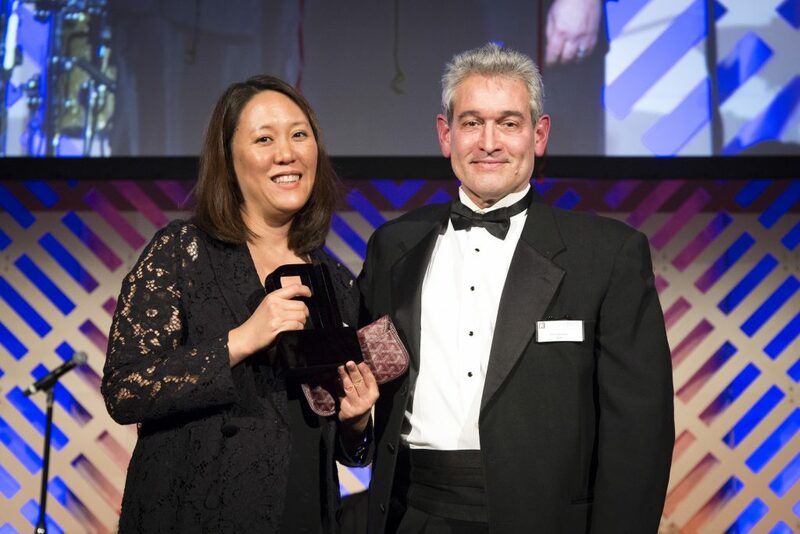 Prior to this, he was founder and editor of Executive Talent, the global quarterly magazine from the Association of Executive Search and Leadership Consultants. 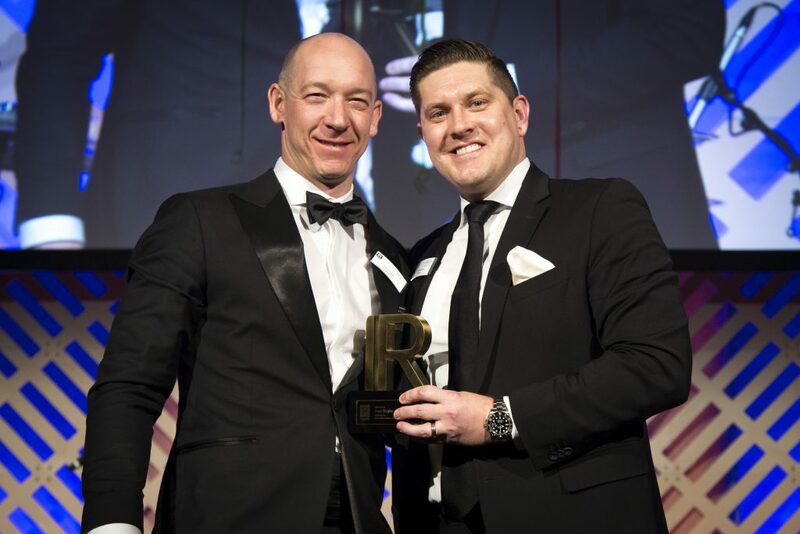 Before moving to the US, Ashwell was vice president and editor at Executive Grapevine, overseeing a daily news website, 10 annual supplements and HR Grapevine, the UK’s leading HR and talent management magazine. 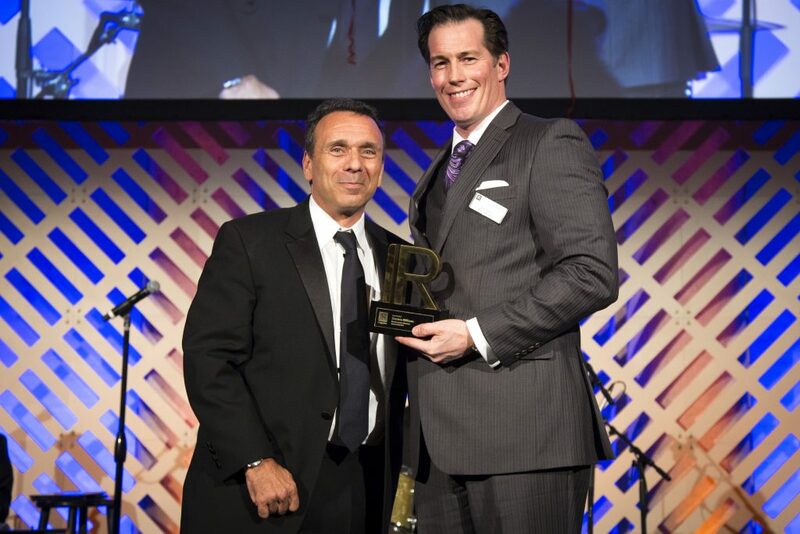 Gary LaBranche, FASAE, CAE, is the president & CEO of the National Investor Relations Institute (NIRI). 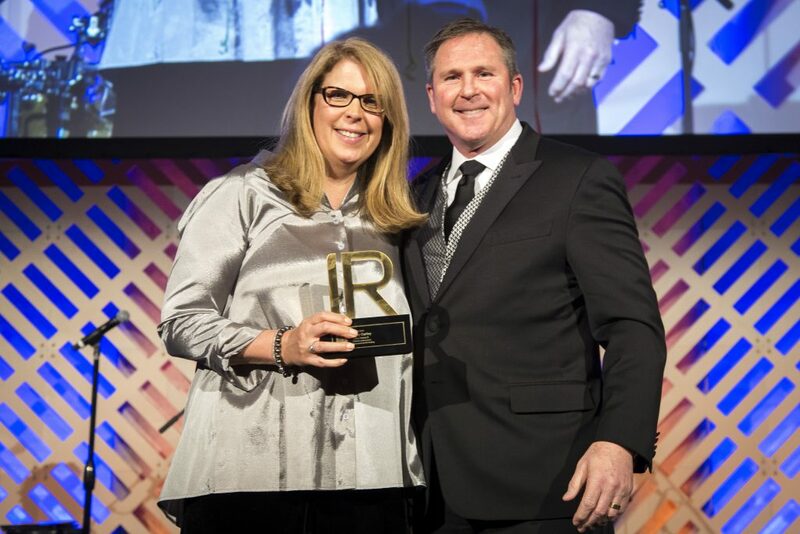 As CEO, LaBranche provides strategic executive leadership to advance the NIRI’s mission and goals. He represents NIRI to regulators, lawmakers, the media and other audiences. An association professional for 37+ years, LaBranche has served as CEO for three other organizations and as a senior executive at the American Society of Association Executives (ASAE) and the U.S. Chamber of Commerce. Prior to joining ACG, LaBranche was CEO for the Association Forum of Chicagoland. He is the author of 300+ articles, podcasts and columns and the book, “The Association CEO Succession Toolkit” published by ASAE in 2018. He authored the chapter, “Managing the Complex Association Enterprise” in ASAE’s Handbook on Professional Practices in Association Management, 3rd edition. He has consulted/presented to 300+ associations. 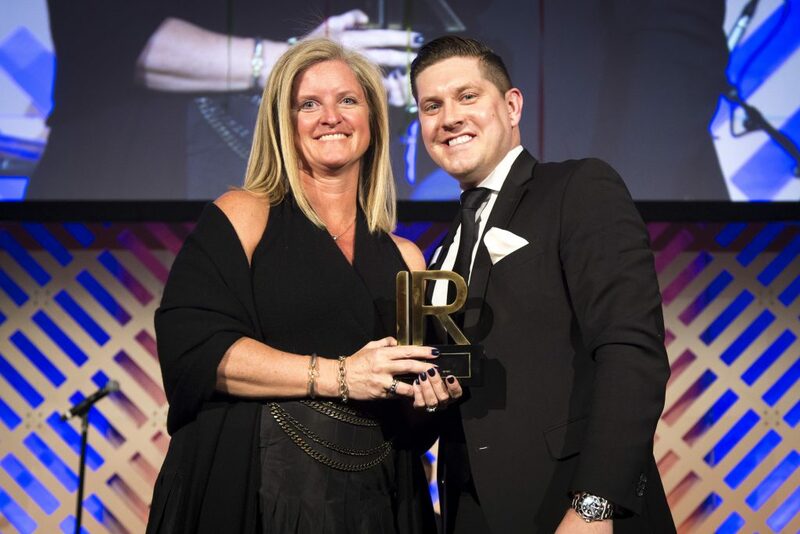 Smooch Repovich Reynolds joined ZRG Partners at the end of 2017, bringing with her a career that spans more than 25 years of executive search consulting, specifically focused in the Global Investor Relations Officer and Chief Communications Officer functional areas. 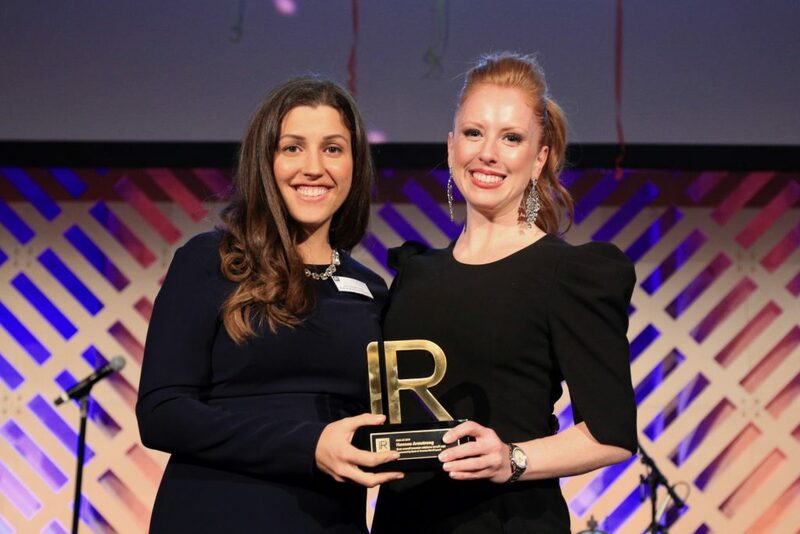 Smooch pioneered IR executive search as a direct result of her affinity for the capital markets and has partnered with CEOs and CFOs to address corporate valuation issues and financial market expectations throughout her career. 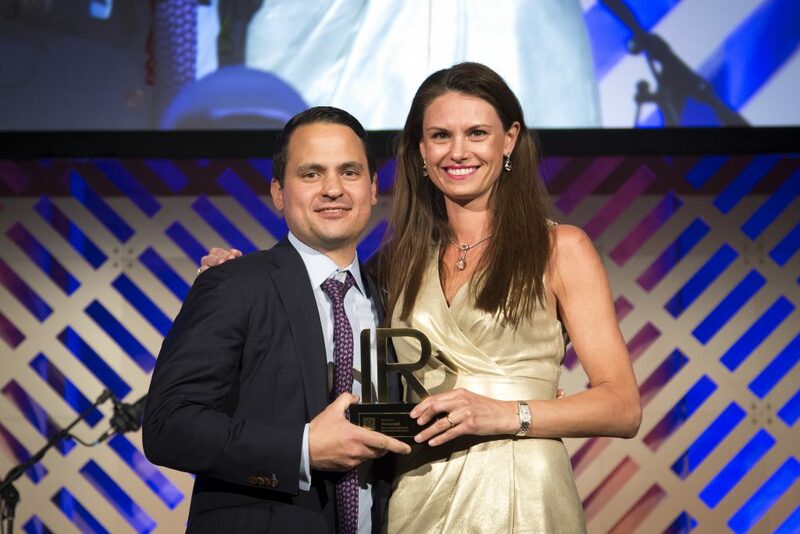 As the profession and financial markets have evolved dramatically the last two decades, she has served as a key influencer of the direction of the Investor Relations profession through her stewardship with client management teams. Smooch has authored numerous thought leadership articles on the topic of intangible leadership qualities as they relate to a success trajectory and she has been the featured expert on IRO and CCO careers across traditional media and social/digital media. 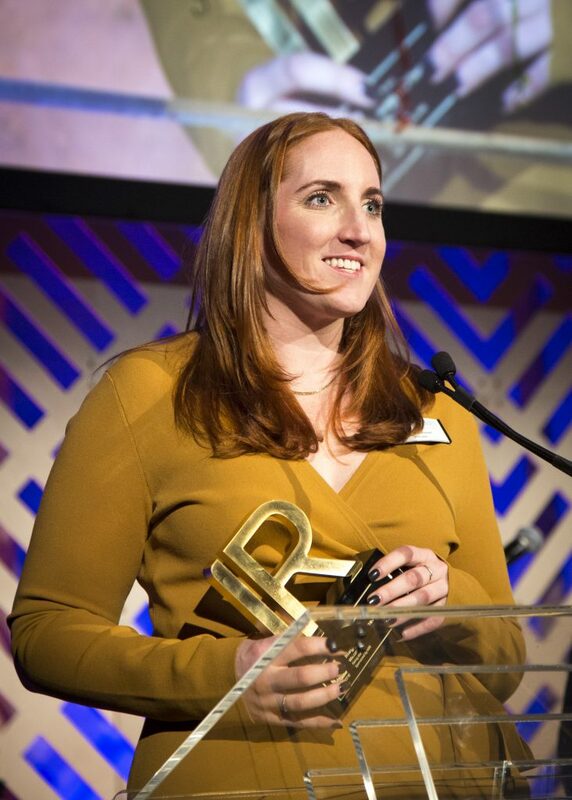 She is a long-time member of the National Investor Relations Institute, a NIRI Fellow and a lifetime member of IABC. She has a B.S. in Broadcast Journalism. Looking for the perfect place to stay before or after the event? BNY Mellon acts as a depositary bank for more than 1,000 issuers from 64 countries and accounts for a 57% in share of sponsored programs as of December 31, 2016. We are a global a global investments company dedicated to helping its clients manage and service their financial assets throughout the investment lifecycle. Whether providing financial services for institutions, corporations or individual investors, BNY Mellon delivers informed investment management and investment services in 35 countries and more than 100 markets. As of September 30, 2017, BNY Mellon had $32.2 trillion in assets under custody and/or administration and $1.8 trillion in assets under management. BNY Mellon can act as a single point of contact for clients looking to create, trade, hold, manage, service, distribute or restructure investments. BNY Mellon is the corporate brand of The Bank of New York Mellon Corporation (NYSE: BK). Additional information is available on www.bnymellon.com. 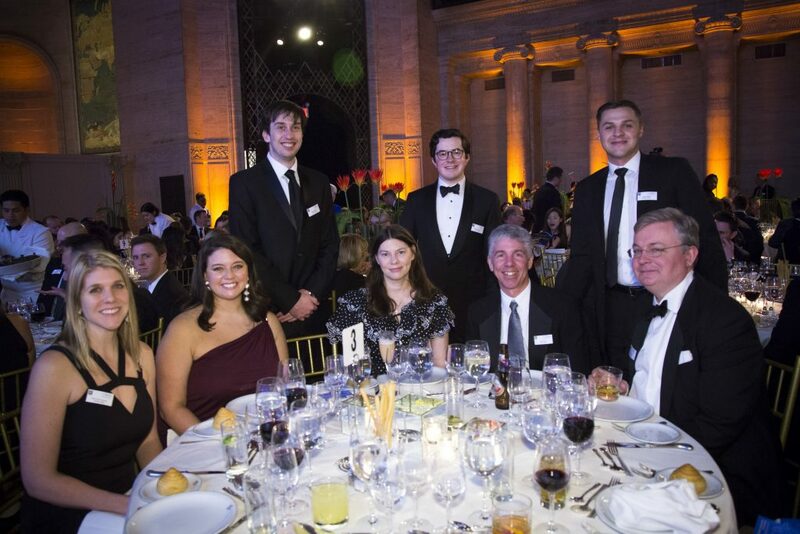 Follow us on Twitter @BNYMellon or visit our newsroom at www.bnymellon.com/newsroom for the latest company news. 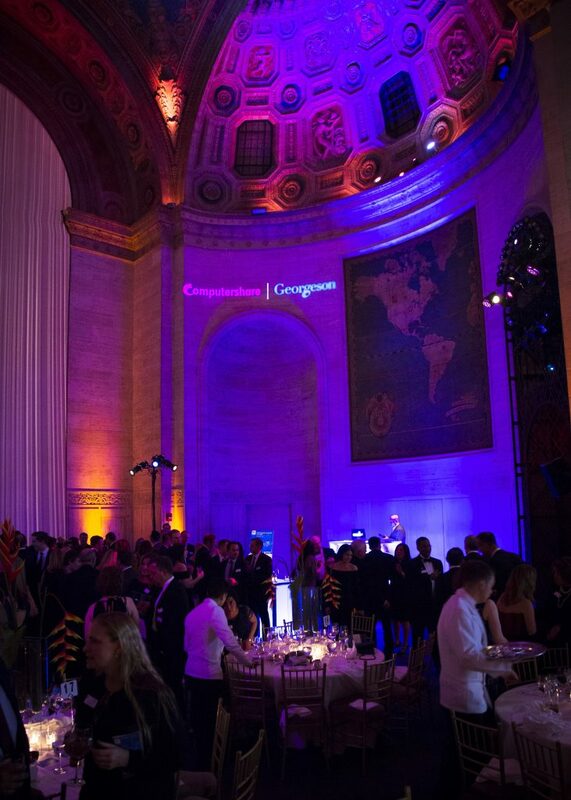 Computershare and Georgeson are the world’s foremost providers of strategic shareholder services to corporations and shareholder groups. Our team offers unsurpassed expertise and responsive client service as well as innovative technology and tools for transfer agency, corporate governance, annual meetings, stakeholder communications, proxy contests and corporate actions. Trusted by more than 6,000 companies representing 25 million shareholder accounts, our proven solutions put our clients’ and their stakeholders’ needs first. Computershare is a global market leader in transfer agency and share registration, employee equity plans, proxy solicitation and stakeholder communications. We also specialize in corporate trust services, tax voucher solutions, bankruptcy administration and a range of other diversified financial and governance services. Many of the world’s leading organizations use these core competencies to help maximize the value of relationships with their investors, employees, creditors, members and customers. Georgeson is the world’s foremost provider of strategic shareholder services to corporations and shareholder groups working to influence corporate strategy. We offer unsurpassed advice and representation for annual meetings, mergers and acquisitions, proxy contests and other extraordinary transactions. Our core proxy expertise is enhanced with and complemented by our strategic consulting and asset reunification services, as well as by the Georgeson inVUTMplatform, a software tool that provides insight into investor ownership and voting profiles. For more information, visit www.computershare.com   or  www.georgeson.com. 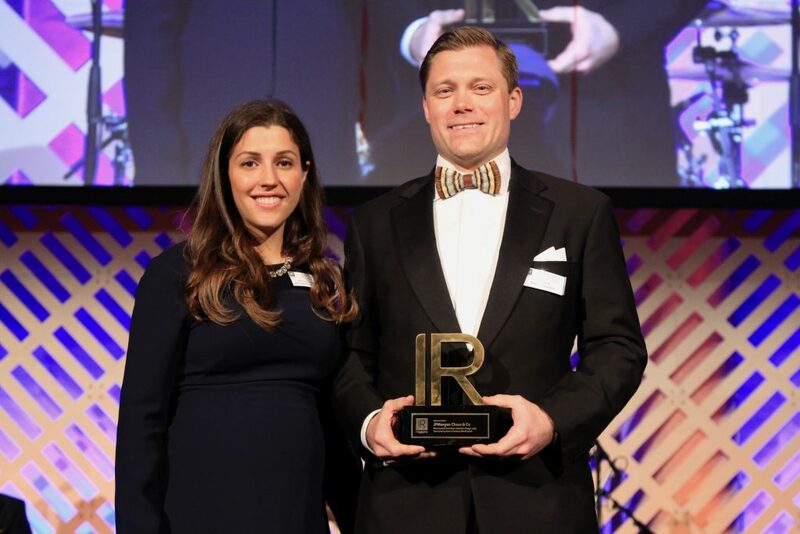 Corbin Advisors is a specialized investor relations advisory firm that partners with C-suite and IR executives to drive long-term shareholder value. We bring third-party objectivity and best practice knowledge as we collaborate with our clients to design and execute sound, effective investor communication and engagement strategies. Our proven methodology, proprietary analytics database, trusted reputation and in-depth experience generate a foundation of unique insights. This marriage of research and rigor delivers comprehensive, actionable recommendations for internal and external value creation. From research-based insights to actionable strategies that differentiate our clients, Corbin unlocks thoughtful, positive change. We start by asking the right questions, providing candid, well-founded counsel and executing on proven strategies that drive results. For over a decade, we have surveyed global investors on the equity markets, world economies and business climate. At the start of every quarter, we publish our leading-edge research report, “Inside The Buy-side®”, which captures real-time investor sentiment and trends. 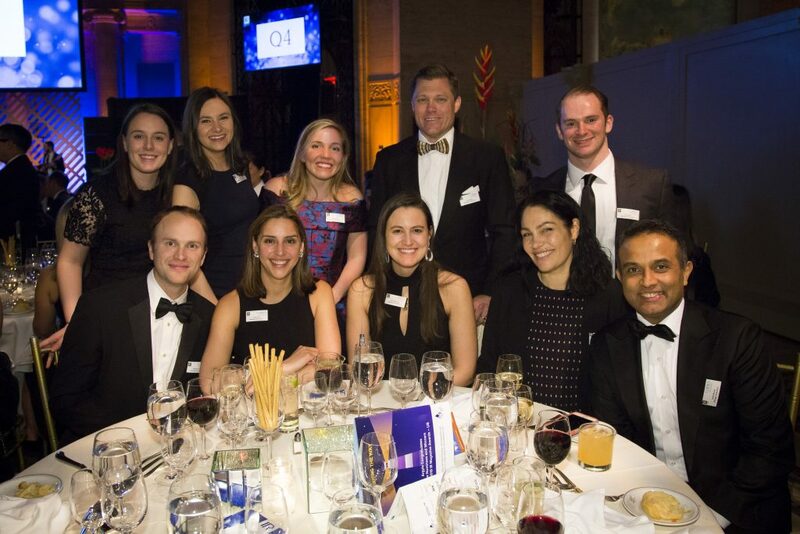 Our unique approach to market research and experienced perspective informs public company C-suite and IR executives as they prepare for earnings season and beyond. DFIN is a leading global risk and compliance company. We’re here to help you make smarter decisions with insightful technology, industry expertise and data insights at every stage of your business and investment lifecycles. As markets fluctuate, regulations evolve and technology advances, we’re there. And through it all, we deliver confidence with the right solutions in moments that matter. Learn about DFIN’s end-to-end risk and compliance solutions. Visit DFINsolutions.com or call +1 800 823 5304. EQS Group is a leading international technology provider for Digital Investor Relations. More than 8,000 companies worldwide trust EQS’s products and services to securely, efficiently, and simultaneously fulfil complex national and international disclosure and compliance requirements to the global investment community. The EQS COCKPIT, a cloud-based IR workflow platform, digitally maps the work processes of IR Officers, communicates with the company’s website, and distributes company releases via one of the most important financial newswires. With additional products such as websites, IR tools, digital reports, and webcasting solutions, EQS Group is a digital single source provider. EQS Group was founded in Munich, Germany in 2000 and has developed from a start-up to an international group with offices in the world’s key financial markets. The group employs more than 300 professionals globally. Innisfree provides sound advice and results-oriented implementation in domestic and cross border proxy solicitations, tender/exchange offers, mergers and other corporate actions, as well as consulting services on strategic management issues, including corporate governance and investor relations. MacKenzie Partners is a full-service proxy solicitation, investor relations and corporate governance consulting firm specializing in mergers-and-acquisitions related transactions. The firm has offices in New York City, Los Angeles, Palo Alto and London. MerchantCantos, a Brunswick Group company, is one of the world’s leading creative agencies. With six offices worldwide, we deliver impactful, integrated communications for global clients. Founded in 1988 with a focus on financial reporting and in-depth, investor interviews, we’ve built an understanding for the real challenges facing our clients. 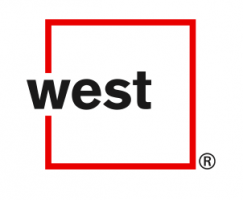 Our specialties now encompass investor communications, sustainability, brand, and employee engagement. Our offers – design, film and digital – and expertise cover all aspects vital to business communications, and then some. MerchantCantos: we bring creativity to business critical communications. Mizuho Americas is a leading financial institution comprising several legal entities, which together offer clients corporate and investment banking, financing, securities, treasury services, asset management, research and more. 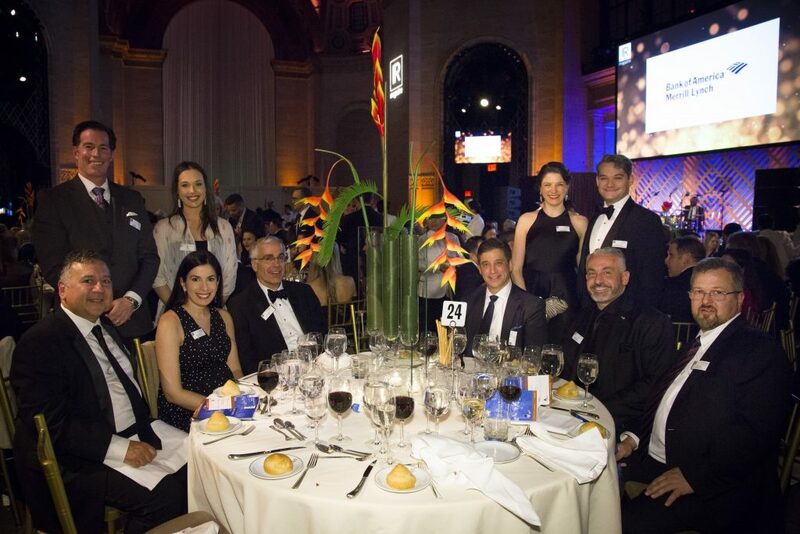 With professionals in offices throughout the US, Canada, Mexico, Brazil and Chile, Mizuho’s operations in the Americas connect a broad client base of major corporations, financial institutions and public sector groups to local markets and a vast global network. Learn more at mizuhoamericas.com. 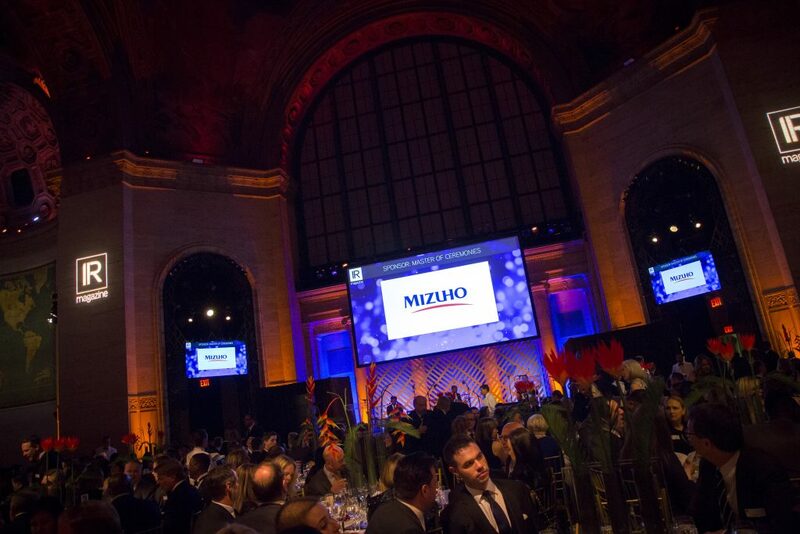 Mizuho Americas is an integral part of the Japan-based Mizuho Financial Group, Inc. (NYSE: MFG). Mizuho Financial Group is one of the largest financial institutions in the world, offering comprehensive financial and strategic services including private banking and venture capital through its subsidiaries. The group has over 900 offices and 60,000 employees worldwide in nearly 40 countries throughout the Americas, EMEA, and Asia. As of December 31, 2017, its total assets were $1.8 trillion. Learn more about Mizuho Financial Group at www.mizuho-fg.com. 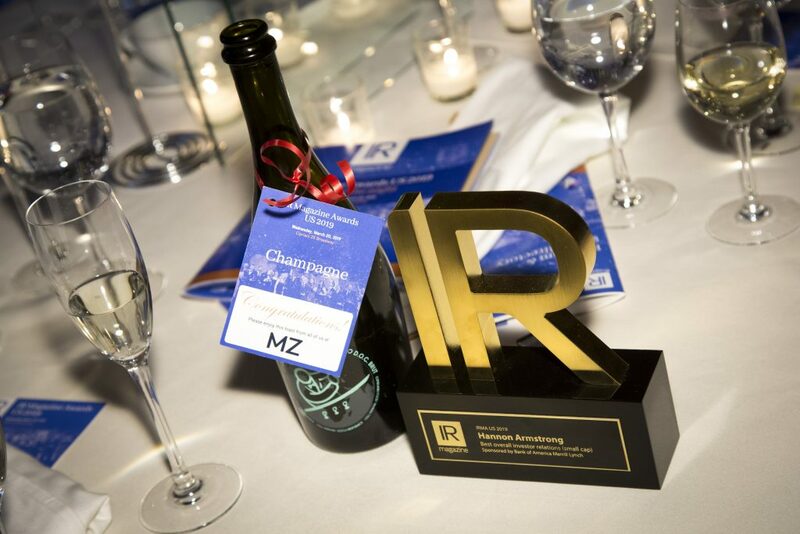 MZ is a global leader in investor relations (IR) solutions with over 600 clients. Our portfolio of intelligence and communications solutions empower our clients to be ahead of the market by providing them with all the tools and insights they need to make effective decisions and better engage with shareholders. 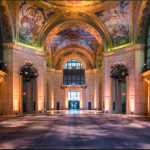 Okapi Partners LLC is a strategic proxy solicitation and investor response firm providing a full range of solicitation and information agent services, as well as related consultation and advice to our clients. We represent listed companies, mutual funds, and investors, providing our clients with superior service, established industry relationships and outstanding execution capabilities. 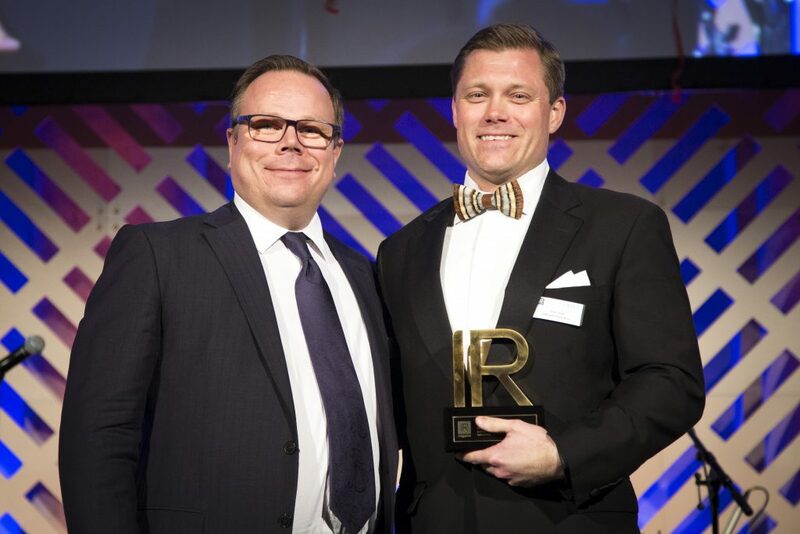 Q4 is the fastest growing cloud-based investor relations and capital market solutions to the IR Industry with over 1,200 clients. Public companies the world over (many of which are Fortune 1000 brands) look to our leading web and intelligence solutions to power successful (and award winning) IR programs — and to better connect with their investors, make more effective decisions, and understand the capital markets. SVB Leerink is a leading investment bank, specializing in healthcare and life sciences. The firm’s knowledge, experience and focus enable it to help its clients define and achieve their strategic, capital markets and investment objectives. SVB Leerink partners with companies that develop and commercialize innovative products and services that are defining the future of healthcare. SVB Leerink is a member of SVB Financial Group and is a member of FINRA/SIPC. For more information, please visit: www.svbleerink.com. The NuVo Group provides financial printing, digital publishing and EDGAR SEC electronic filing services to some of the world’s most respected financial institutions. We possess the tools, team and advanced technologies to ensure an exceptional customer experience — ease of process, rapid execution, regulatory compliance and, of course, uncompromising accuracy. Our Mission & Vision is to consistently perform in ways that make our customers’ jobs easier, and their printing and filing faster, to leverage the most experienced talent, effective tools and advanced technologies in financial printing, digital publishing and EDGAR SEC filing today in order to simplify, accelerate and enhance the end product we proudly deliver to our customers — on time, in format and on budget. To lead in the design and development of groundbreaking services, solutions and support systems, innovations that redefine the industry of financial printing, digital publishing and EDGAR SEC filing and deliver more tangible value and responsiveness to customers — compressed lead times, error-free documents, streamlined production and reduced cost. 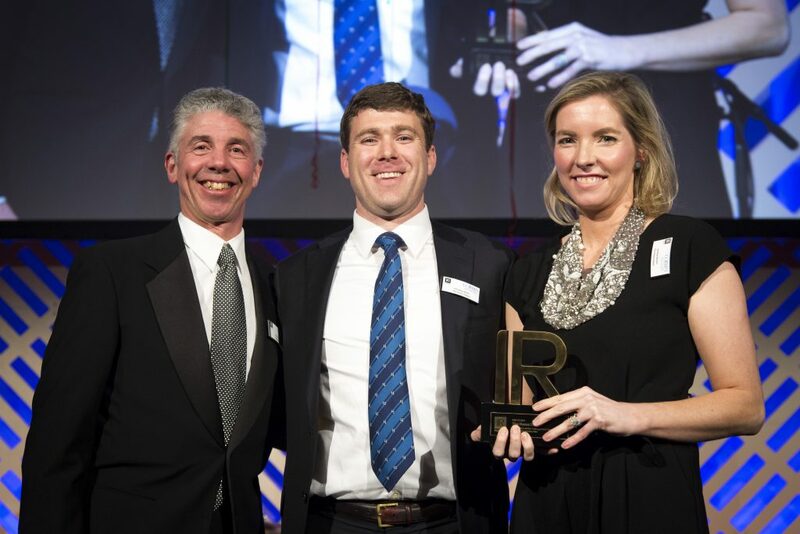 Proud to be named one of Inc 5000’s Fastest Growing Private Companies. 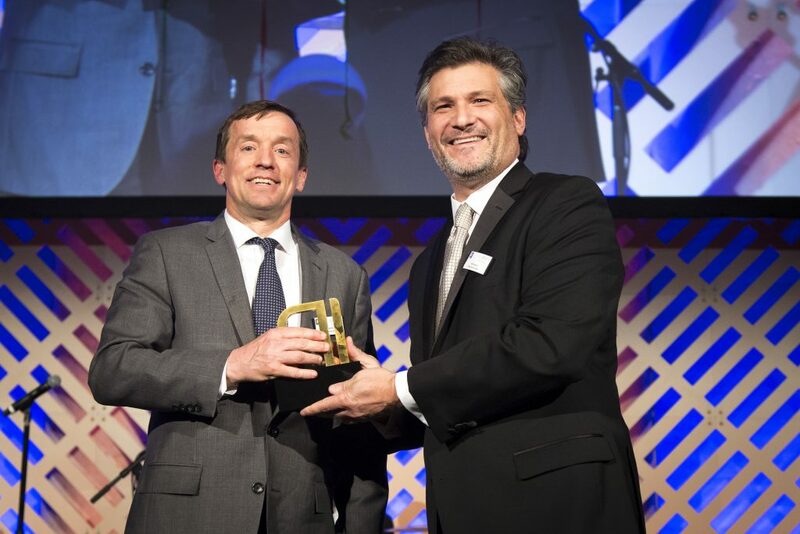 Business Wire is the global leader in press release distribution and regulatory disclosure. Canadian investor relations professionals rely on Business Wire to accurately distribute market-moving news, submit documents to SEDAR and host press release content on corporate web sites. Business Wire supports the Canadian investor relations community with its long-term commitment to CIRI as a National Strategic Partner and is recognized by the Toronto Stock Exchange as an approved newswire service. Learn more about Business Wire’s Canadian Disclosure Services here. 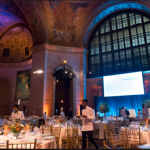 Our awards provides a unique opportunity to get in front of some of the most influential people in North-America. 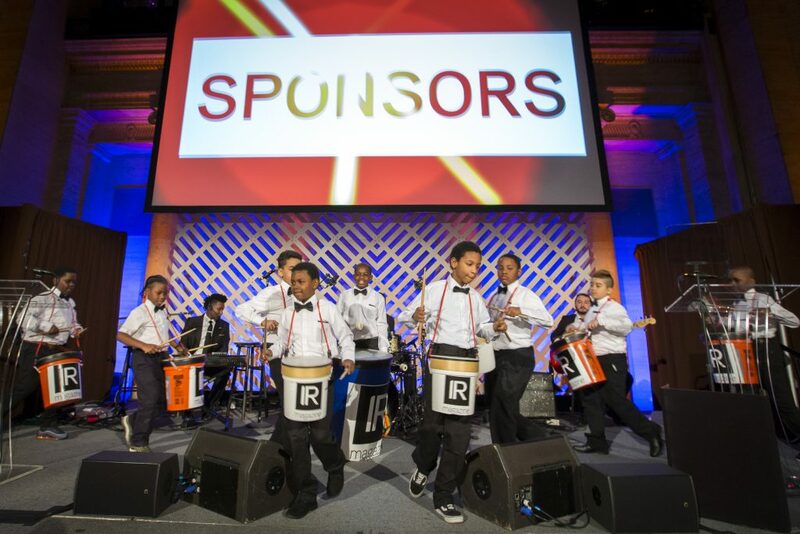 As a sponsor, you will gain an extensive amount of exposure through a wide range of marketing materials, both pre- and post event, as well as on the day itself. Additionally, you can use the event to align yourself with IR excellence and network with key decision makers from across the region. 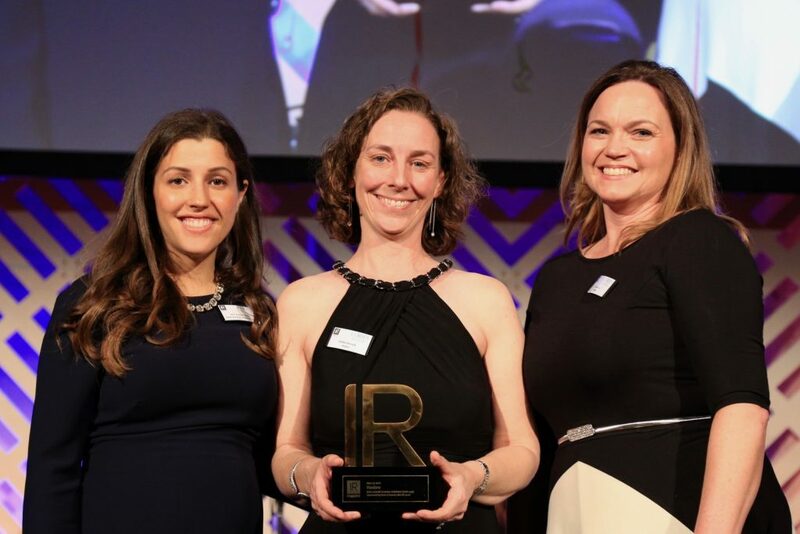 The Bank of America Merrill Lynch 2019 Investor Relations Insights Conference will be taking place on the same day as the IR Magazine Awards – US, on Wednesday, March 20, 2019 in New York. Investor Relations Officers interested in attending this conference, please contact [email protected]. A.L.O.E. presents the P.S. 146 Bucket Drum Squad! We were pleased to have Ramy Inocencio as our master of ceremonies! Ramy is an anchor and correspondent for Bloomberg Television & Radio and Bloomberg’s digital Daybreak global podcast. On Bloomberg Television, he reports and anchors for the Asia-Pacific’s flagship weekday morning show. 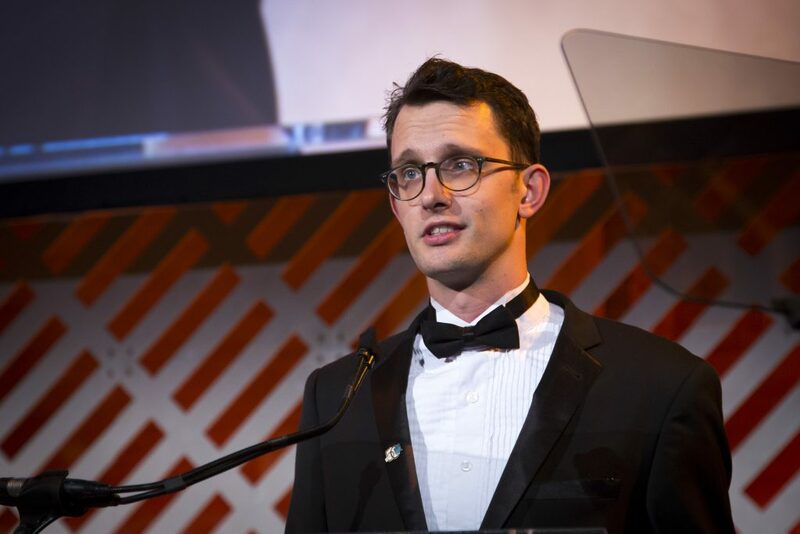 He covered the first face-to-face summit of U.S. President Donald Trump and Chinese President Xi Jinping from Mar-a-Lago, reported from Paris on France’s Bastille Day terror attack in 2016 and travelled across the U.S. in 2015 reporting for his technology series Wiring the World and Bloomberg Technology. A global journalist with 15 years’ experience across the U.S and Asia, Inocencio joined Bloomberg from the Wall Street Journal Digital Network in Hong Kong where he covered the Philippine devastation of Typhoon Haiyan in 2013, Hong Kong’s pro-democracy Umbrella Revolution in 2014 and Pope Francis’ first visit to the Philippines in 2015. He also hosted Digits, the WSJ’s weekly technology show. 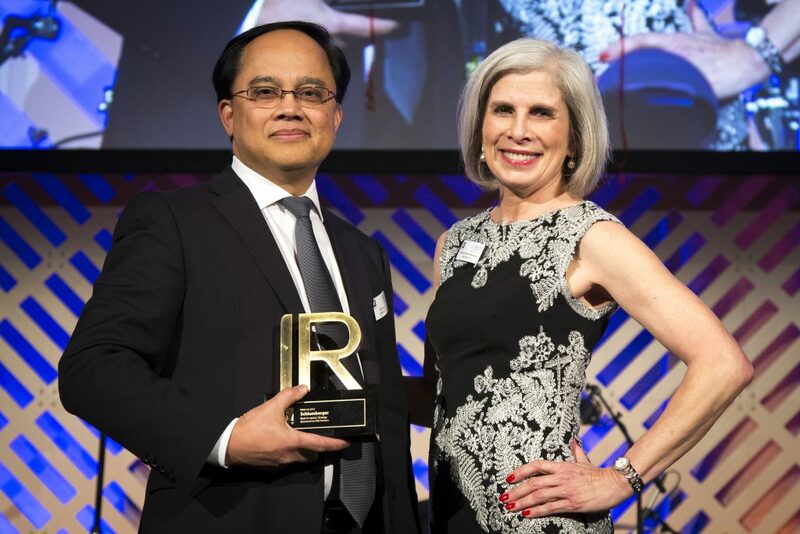 Inocencio is a champion of newsroom diversity, internationalism and volunteerism. 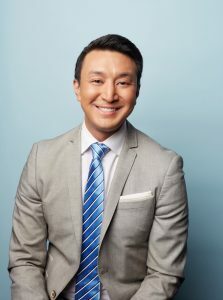 He serves as National Senior Vice-President of the non-profit Asian-American Journalists Association (AAJA), Global Co-Lead of Bloomberg’s Pan-Asian Community (BPAC) and President of the New York alumni chapter of the Hawaii-based East-West Center (EWC). 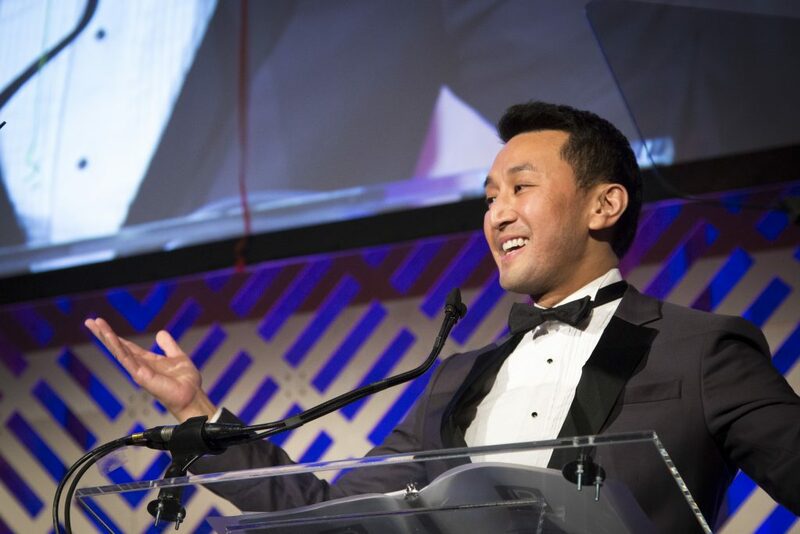 He is a 2009 fellowship recipient of the EWC’s Asia-Pacific Leadership Program and a 2016 recipient of the “50 Best Asian-Americans in Business” Award. Sign up for the complete experience below. 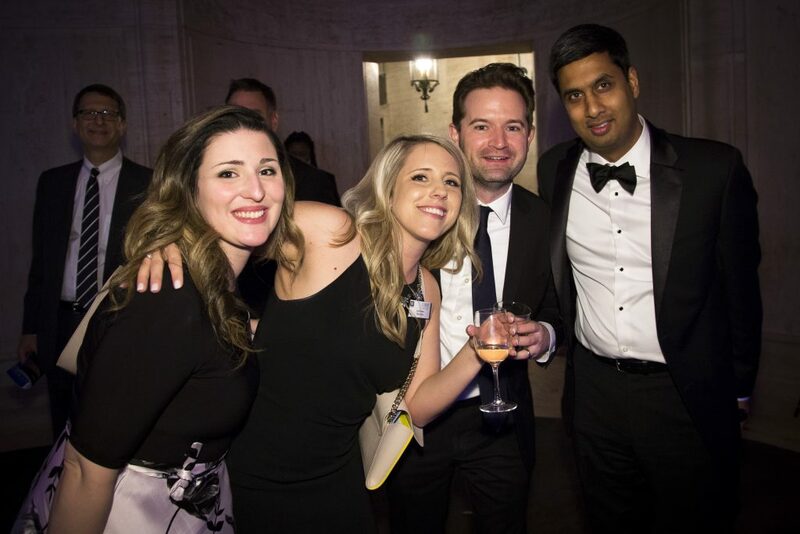 You will have full access to the welcome drinks reception, the glamorous dinner, the prestigious awards ceremony and the fun-filled after party! 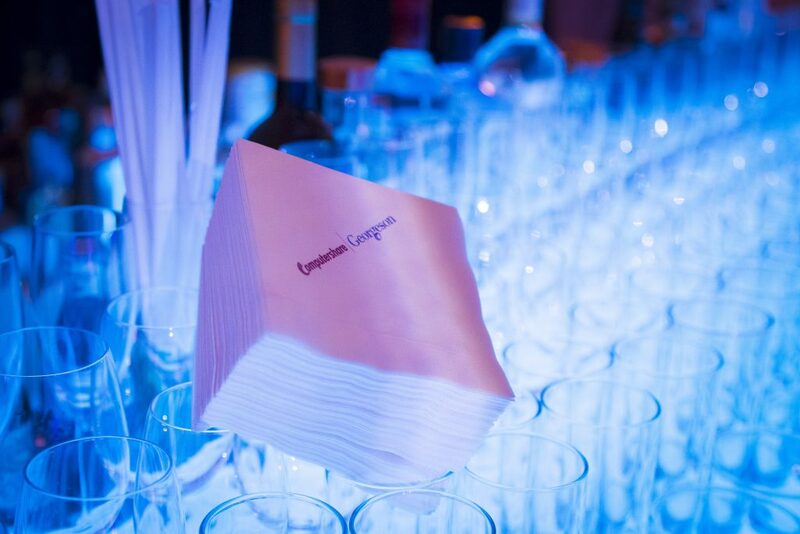 If you have any questions regarding booking seats and tables for the awards, please contact Brigitte Toledano on +1 212 430 6861.